Start speaking Swedish in minutes, and learn key vocabulary, phrases, and grammar in just minutes more with Learn Swedish - Level 5: Advanced - a completely new way to learn Swedish with ease! 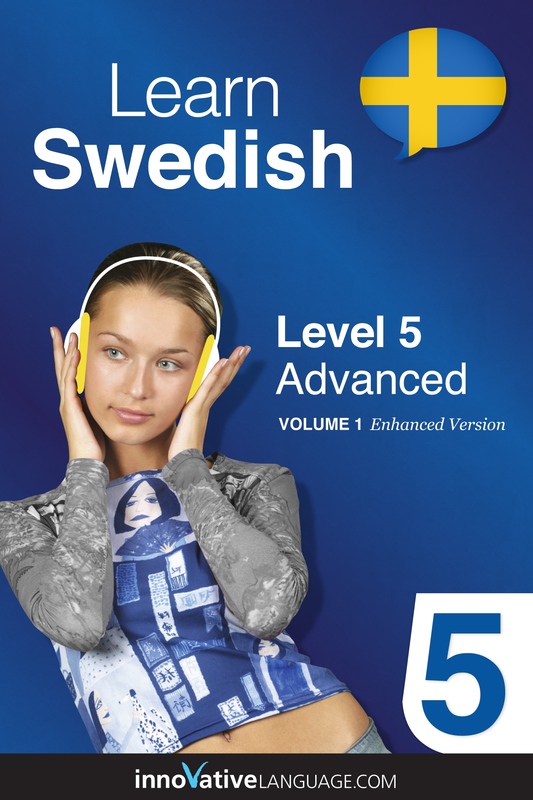 Learn Swedish - Level 5: Advanced will arm you with Swedish and cultural insight to utterly shock and amaze your Swedish friends and family, teachers, and colleagues. This book is the most powerful way to learn Swedish. Guaranteed. - effortlessly learn from bi-lingual and bi-cultural hosts as they guide you through the pitfalls and pleasures of Sweden and Swedish. Discover or rediscover how fun learning a language can be with the future of language learning, and start speaking Swedish instantly! Requirements: iOS device with iBooks 1.3.1 or later and iOS 4.3.3 or later, or a Mac with iBooks 1.0 or later, PC or Android device with .ePub Reader software, as FBReader for example.